White navy t-shirt, with short sleeves, for boy. 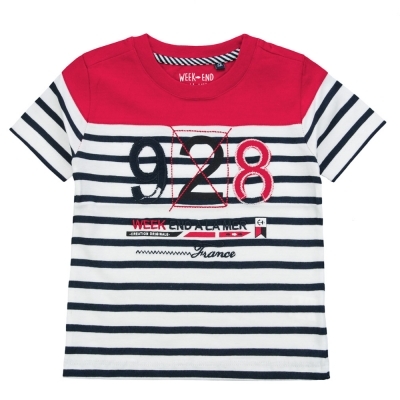 Its plain red yoke on the upper part of the model brings a very modern touch ! 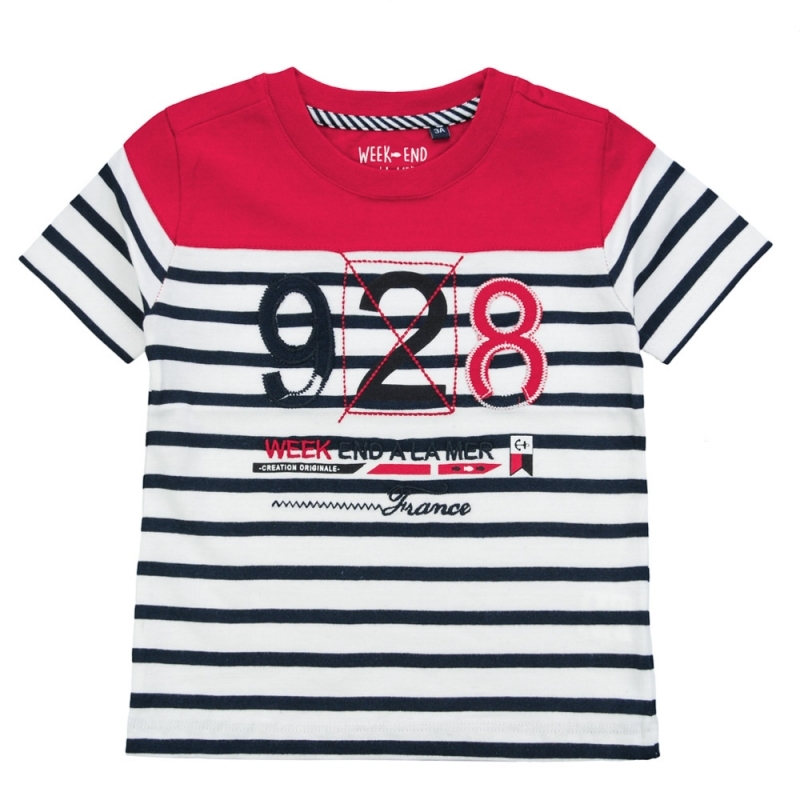 The front of the t-shirt is enhanced by a nautical pattern and a Week-end à la Mer inscription.